Leicester City manager Claudio Ranieri says his players’ concentration during 90 minutes of football is something that the Italian holds in high regard, and it is improving at an encouraging rate. 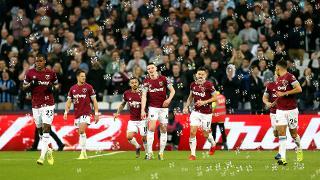 The Foxes travel to Upton Park this weekend in search of a second consecutive Barclays Premier League victory following Saturday’s 4-2 win over Sunderland. During this week’s training sessions, Ranieri and his coaching staff have continued to maintain their high standards, emphasising the ability to keep focused as something that is of great importance. “More than killer instinct is concentration,” Ranieri said. “I show to them every time that we make a mistake, but not just when we concede a goal, also during the match we make some mistakes, and I show them to the players. Slowly, I’m sure they’re getting better. “I know only one way (to maintain concentration) – to work. Every day in the training session, I am like a hammer. I try to put in their brain my point of view about football and concentration. While the win against Sunderland was very much courtesy of a team effort, Ranieri highlighted the performances of his two central midfielders following the win. “I think Drinky and also King made a fantastic match [against Sunderland]. After the match all the people spoke about Riyad, who was impressive, yes.